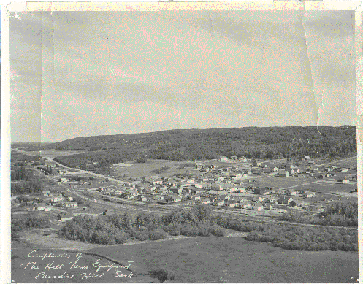 In 1887, settlers from the Little Red Deer Hill left by horseback for the Klondike Gold Rush. They were Ernest, Ed & Alphonse Beliveau, Edward & Elphage Desautels, Louis Pitre, Victor Savage and Napoleon Belange. There they met David & Albert Bilodeau. These men found no gold but encountered terrible hardship. To survive they butchered their white pack horse. 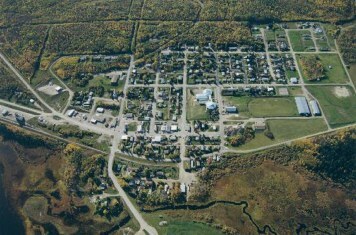 They returned home and when at last sighting the hill, Ernest Beliveau called it the Hill of Paradise from which the Village later took its name.